The New Phantom, epitomising the excellence of the brand, proved to be an extremely quiet car thanks to its quality build, as well as being virtually indestructible. The Ghost LHD had barely been released in March 1925 when the New Phantom appeared, rendering the car obsolete. The new car, however, was not a ground-breaker; the chassis remained roughly the same as the Ghost's, designed in 1907, modified in 1911 and reinforced in 1919. The gearbox dating from 1913 had always been separate from the engine and had previously been a 4-speed.The front wheel brakes were finally adopted in 1924 with the Hispano-Suiza servo-assisted drum brake system. The brand was slow to adopt these innovations because Frederick Henry Royce was a perfectionist, believing that improvements were not valid until countless tests and trials had demonstrated their usefulness and, above all, their reliability. After the death of his flamboyant partner, Charles S. Rolls, flying his Wright plane on 12 July 1910, Henry Royce moved to the French Riviera, to Canadel, with five engineers, and each change on the Silver Ghost was given his approval and sent to the factory in England where the faithful Claude Johnson, an early associate of Charles Rolls, oversaw their implementation. Despite its development, the Rolls Royce Silver Ghost was by 1925 already no longer, as Paul Badré put it, "one of those splendid anachronisms to which only England has the secret". So the little sphere of the automotive world, journalists leading the way, must not have been surprised when the new model, the New Phantom, or Phantom I (to distinguish it from the Phantom II) was unveiled on 2 May 1925. 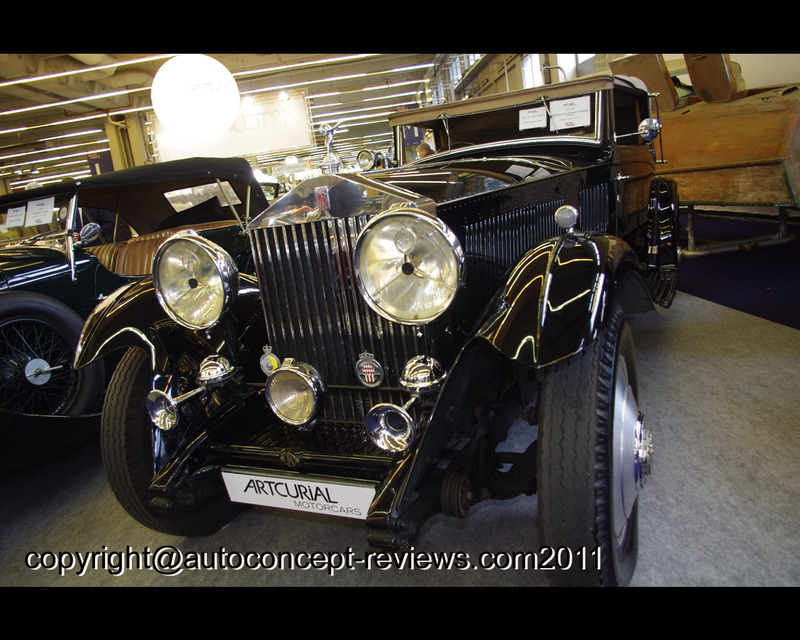 But the secret must have been closely guarded as all the designs on the New Phantom were labelled "Eastern Armoured Car" and correspondence on the prototypes from the factory in Derby and Henry Royce's Riviera villa went unnoticed. This extreme secrecy surrounding the launch of the new model was not to the taste of factory management in Springfield, Massachusetts, engaged in top-of-the-line productions of the Silver Ghost since 1920 in order to broaden the Rolls-Royce customer base in the U.S. 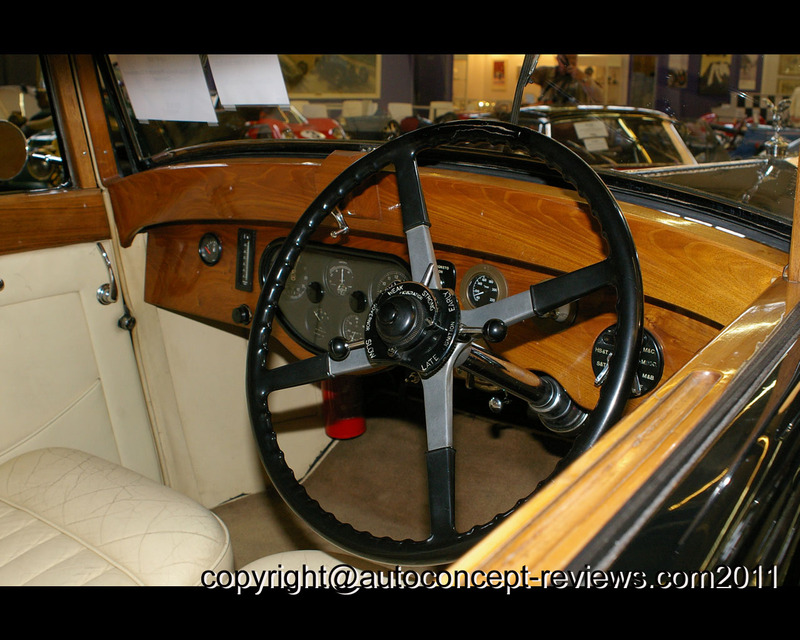 This was the last model designed entirely by Henry Royce. The first prototype, 18 EX, was designated a "40/50 Super Sport"; completed in November 1928, and the body manufactured separately by Barker. It was then that the factory chose to separate chassis and body manufacture and apply it to the rest of production. In terms of mechanics, the most notable development in comparison to the Phantom I was the contiguous placement of the gearbox and the engine. The chassis and suspension were also greatly improved and the rare short-chassis versions, known as Continentals, were made specifically for road use rather than sports driving bodywork and often came in an elegant convertible or coupé. 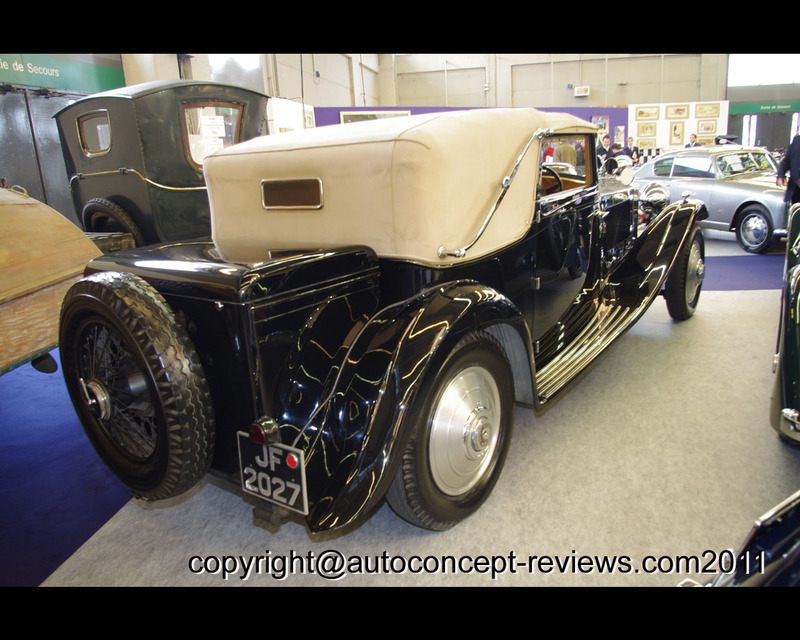 Funnily enough, this superb car was presented to the public in September 1929 on the eve of the Great Depression, and its price was one of the reasons for its very low production, the other being the competition from the Bentley 6.5 and 8 litre and Daimler. The production of the Phantom I continued after the introduction of the Phantom II in England. 1392 copies were produced including 280 short-chassis Continentals from 1929 to 1936. 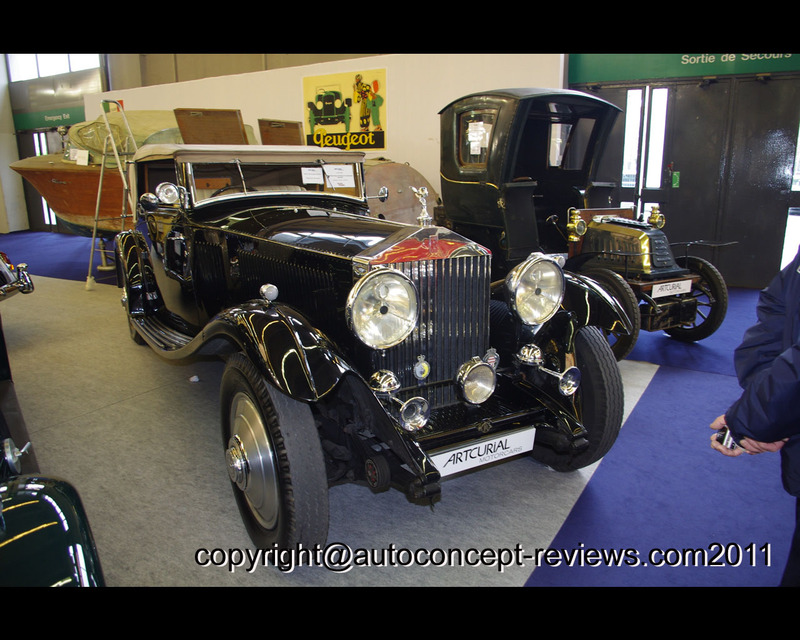 The car is factory brand new, according to the records of the very serious "Rolls-Royce Enthusiasts Club" in September 1931 (although the French registration documents indicate 1930), and then sported a Sports Tourer bodyshell by Arthur Mulliner. Factory records also show that its chassis number was 40 GX, the engine, TQ 75 and it was registered JF 2027. The key number was 65V139 but they have been re-cut. There is also a note that the car was then turned into a convertible without further information. The current bodyshell is undoubtedly made in the finest tradition of the Owen style by Gurney Nutting in a Sedanca 3-position drophead convertible, probably by this establishment, which produced bodyshells until 1948, but no corroborating information has surfaced so far to prove this. Captain H. R. Owen designed the body and entrusted Gurney Nutting with its construction for him while he was the Rolls Royce agent at Berkeley Street, London. The construction and condition of the all-aluminium body are exceptional and the finish outstanding. All specialists of the brand recognize this bodyshell as the most elegant of all those made at the time on the Continental chassis. Often, at a time when body builders abounded, owners of luxury cars simply gave the car a "facelift" rather than buying another. Only 12 examples were manufactured by Gurney Nutting on the bare chassis.